Tree of Life is the textbook provider for Jessup! ARE YOU OPTED-IN TO OR OPTED-OUT OF TEXTBOOK BUTLER? Don’t know? CLICK HERE to check your status. To check your status: At the textbook site – you will log in using your Jessup email address and your Jessup student ID. reference or use it for another student. see rental as an option next to “Used” and “New” on the virtual bookstore website (textbook portal) where it is available. Tree of Life provides the rental terms and conditions on every pack sheet in every shipment. I am renting and am in receipt of the rental book(s) shown on the receipt. I acknowledge that the book, whether new or used, is in good condition. If the books are not in good condition I will contact Tree Of Life within 7 days of receiving the books. I acknowledge the non-return replacement cost and replacement fee that appear on the Tree of Life textbook portal. I will return the book to a Tree of Life location no later than the rental due date (please allow 10-14 business days for transit). I will return the book in good salable condition as determined by the Bookstore. All CD’s and other component parts included with this book, must be present and in salable condition as determined by the store upon return. Reasonable amounts of highlighting and writing are acceptable. I authorize the use of a rental guarantee in the form of a credit card, debit card, or authorization to charge my student account. If I am late, fail to return the book, or decide to keep the book I will pay the Bookstore the replacement cost as shown on the Tree of Life textbook portal and any applicable sales taxes, at any time after the rental return due date. Any books returned after the replacement cost has been charged are subject to a 20% restocking fee. Any books returned 30 days after the replacement cost has been charged will be treated as a buyback transaction. I will not exceed the limit or cancel the credit or debit card above until all the rented materials are either returned to the Bookstore or the fees indicated above are paid in full. IF YOU are OPTED-IN to Textbook Butler Service, your book order is generated after you register for a class. Once you are registered, Tree of Life receives a book order from Jessup. You will receive your books 1 week before class start. Book orders are only generated once you have registered for a class. IF YOU are NOT OPTED-IN to Textbook Butler Service, you may see your textbook list and order books through Tree of Life Books by CLICKING HERE! Yes! When your order ships, a tracking number will be sent to the email address your school has on file. It is important for you to check this email address. You should receive a tracking number 2 weeks before your class starts. What should I do if I have not received a tracking number? You should receive a tracking number about 2 weeks before your class starts. At that time if you haven’t received a tracking number, be sure you are OPTED-IN. You also may want to check your spam folder. If you have any concerns that your shipment may not have gone out, please contact Tree of Life Customer Care immediately at 888.392.2930 and we will resend the tracking number. What do I do if I drop the course? Simply contact our Customer Care Team (contact info listed below) within 7 days of your class start date and they will help you. Can I keep my rentals? Yes, hold onto your books and do not ship them back. Your account will be charged the replacement cost indicated in your rental portal. How do I contact Tree of Life Books? We receive this information from your school. Please see your William Jessup student portal to change your preferred shipping address. Log into your rental portal http://www.treeoflifebooks.com/login/ and print off a return label. This label can be shipped through USPS. When will I receive my my books? If you are enrolled on time you should receive your books one week before class starts. What do I do if the book I receive is damaged? Our rental terms and conditions are printed on your pack sheet. As long as the book isn’t in violation of any of these conditions, this will not be an issue. If you think that it may be in violation, please contact Customer Care within 7 days of receiving the book. 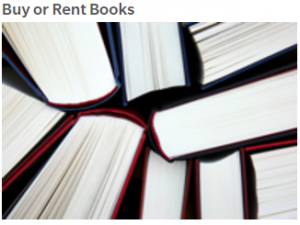 What is the price to purchase a rental book? Please log in to your rental portal to find the replacement value of the book you wish to keep. If you have rented the book, you will pay the difference between what you have paid as a rental and the current market price.